This attractive 2-person gîte (40 m²) with one bedroom on the first floor of the 17th-century farmhouse has been renovated retaining many original features including beamed ceilings and thick granite walls. Because of the thickness of the walls the rooms remain pleasantly cool in the summer and can be heated quickly in the winter. Downstairs next to the holiday apartment is a large private garden with furniture. 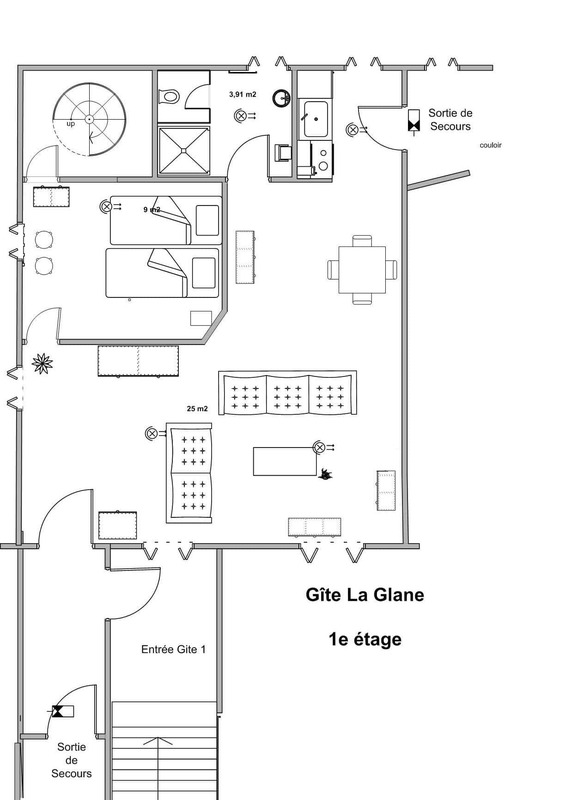 La Glane has a spacious living room with a sofa. In front of the old stone wall is an antique dining table. In the kitchen are a 3-ring electric hob, oven and refrigerator. The bedroom has a 2-person bed (140 x 200 cm) and in the bathroom are a shower, a sink and a toilet.